We are featuring a Vineyard Designated Tasting Experience during the entire month of January. This guided private tasting will introduce you to the unique differences of our 2011 Cabernet Sauvignons from State Lane Vineyard in Yountville, Tietjen Vineyard in Rutherford and Yewell Vineyard in St. Helena. Wines will be paired with select cheeses from Oxbow Cheese and Wine Merchant. What is a single vineyard? A single vineyard wine tells a story of place and time for how grapes go from the vineyard to the bottle in a particular year. This is the opportunity for terroir and vintage to express their personality. 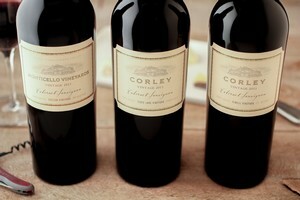 The Vineyard Designated Estate wines are grown from specific vineyard blocks in Napa Valley. Our goal is to present as pure an expression as possible from each given vineyard site.